Can I just that Magformers are absolutely awesome! 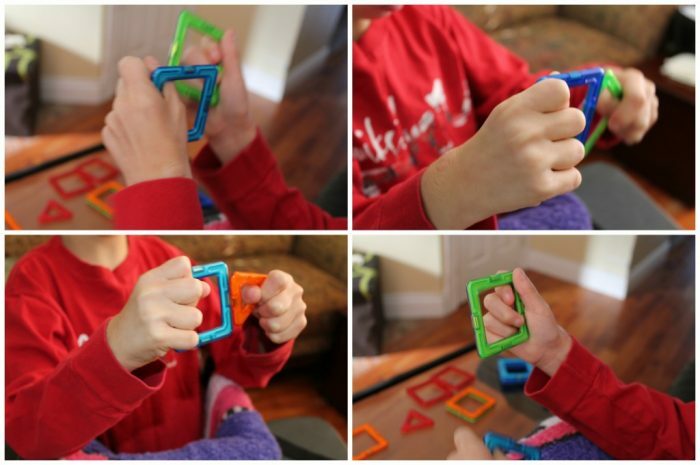 If you don’t know about these amazing “magnetic blocks,” I’m sharing some fun Magformers ideas that are going to change how your kids play. We have builders in our house. When I say builders, I mean they love to create huge structures, exploring architecture and shapes and even physics. This post contains affiliate links. Building with Magformers encourages children to use their imagination and show their creativity while developing skills and knowledge critical to their developmental success. 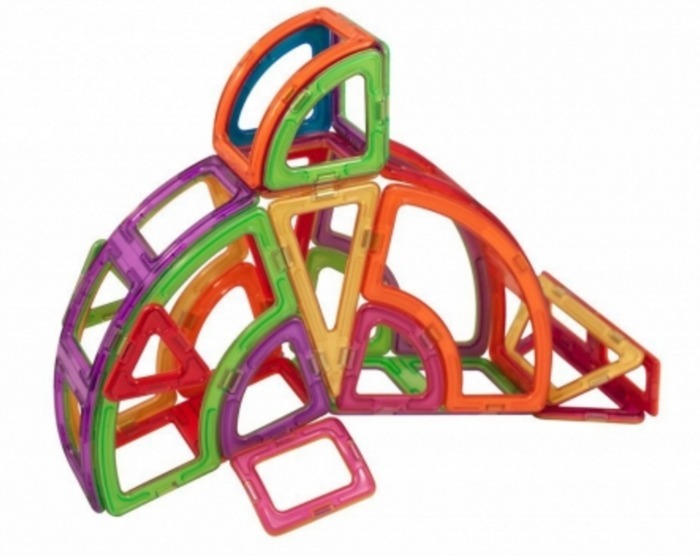 Magformers uses high quality “always attracting” magnetic technology that provides endless constructional play. Learn more about the educational value of each set, and find the special set that your child will love. 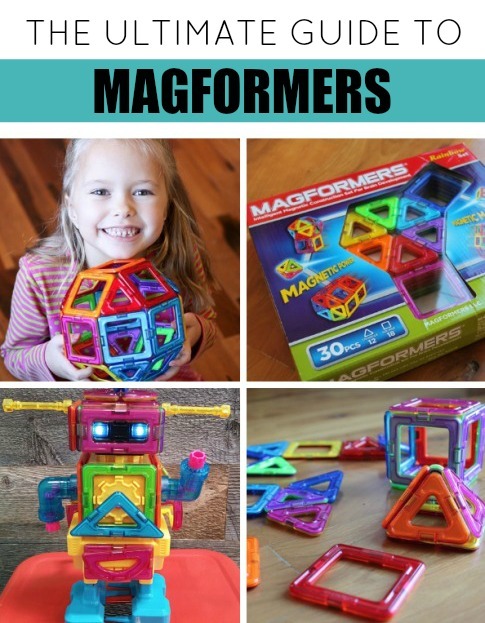 Magformers are super powerful shapes that transform into colorful geometric builds that adhere on every edge with magnets. Build simple forms from houses to rockets that spin freely to ensure that every side attracts to other pieces. The possibilities are endless with this 30-piece sets which include 18 squares and 12 triangles! This is a great toy for children with special needs! Do your kids like superheroes? They can build a superhero robot! Maybe they like spacemen instead. This robot kit comes with a guide book that has directions for 8 different robots for your little engineer. Or, maybe your child dances to the beat of her own drum and would prefer to use her imagination instead of a set of rules. 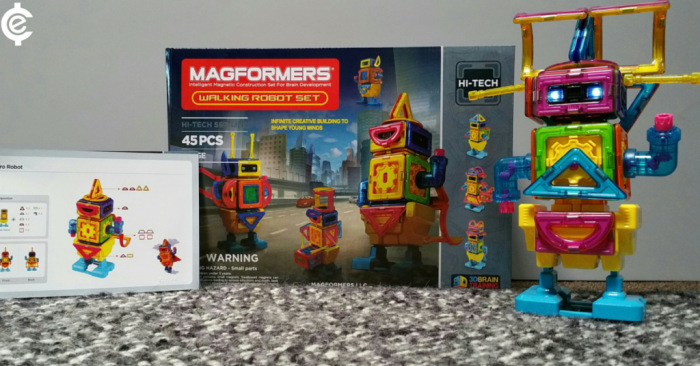 Your child can even create their own robot character since the possibilities are endless with Magformers! Once they are built, their robot can walk at two different speeds. The Magformers Light Show Set allows boys and girls of all ages to light up their imagination and create out of this world designs. They will have magical fun bringing out all the fun colors of the magnetic shapes when adding the light. 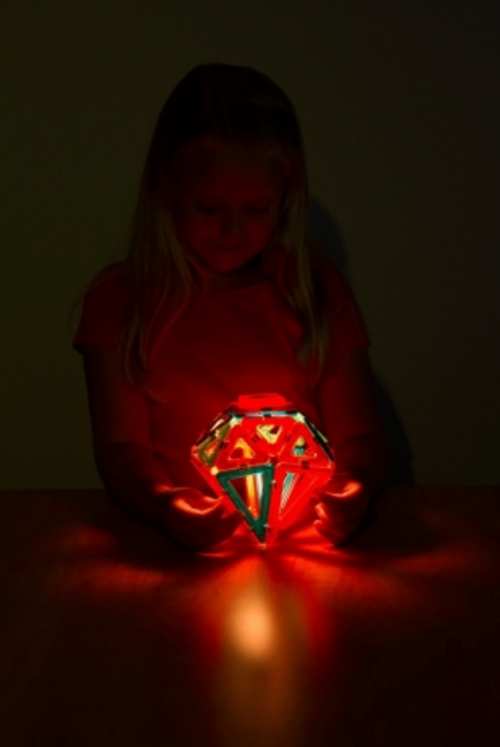 Kids can build stars, space ships, shiny diamonds, the designs are endless! 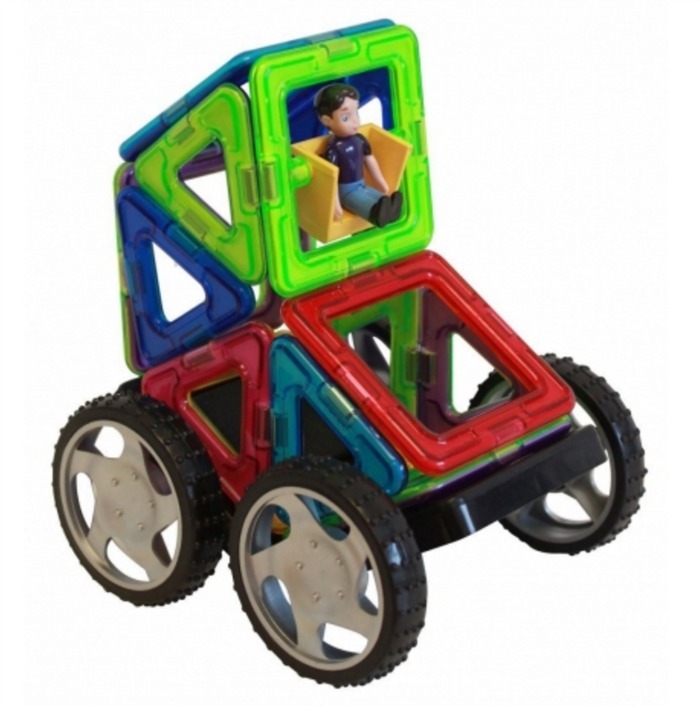 Kids can speed away with the Magformers WOW set by forming mini vehicles with squares, triangles, and wheels! Kids will have endless hours of fun in the driver seat with this 16 piece set designing 20 mini vehicles to start. Once they put their imagination and creativity to work they can design their own vehicles with this set. Vroom, vroom! Kids can go on a deep sea adventure by building a variety of deep sea creatures such as a dolphin, shark, or whales with this set! The Magformers Deep Sea construction set comes with 46 pieces for building. The pieces come in different shapes and connect together on any side. Kids will be able to explore the bottom of the sea by creating over 10 deep sea creatures and much more! Your kids will come to the rescue with the Magformers XL Cruisers Emergency 33-Piece Magnetic Building Set. 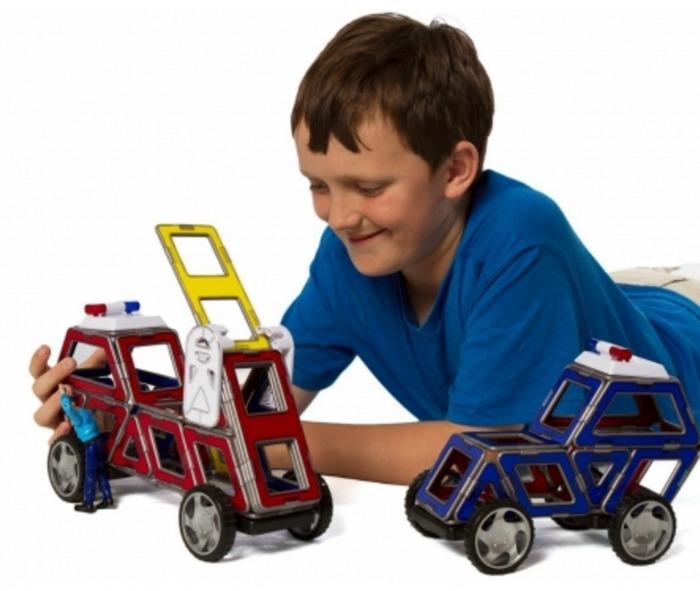 Whether they want to be a police officer or firefighter they can create a police car or fire truck, by constructing red and blue shapes and accessories, lights and sound included! 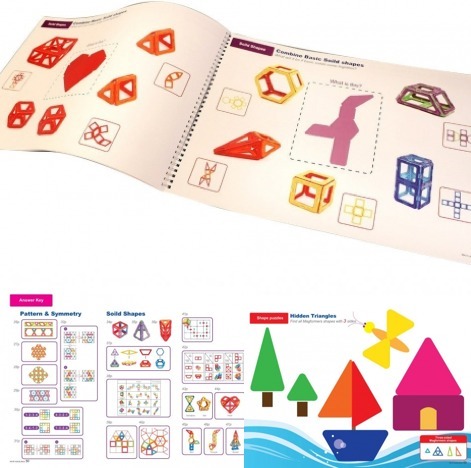 Give kids a fun way to learn basic math skills, recognize shapes and create patterns with the Magformers Math Activity Book! This book is full of great ideas to help the little ones develop their basic math skills while using Magformers magnetic pieces. Cute! My kids have this. I didn’t know you could create a robot like that! Thanks for sharing! I wasn’t familiar with these, now they’re going to the top of my xmas ideas for the grands! Thanks for sharing with us at Throwback Thursday! This has just blown my four year olds little mind – Magformers Light Show!!! Guess what will be going on his Christmas list! I have pinned this to the #ToddlerFunFriday board. LOL! Oh he’s going to love it!!! !